Exotic Car Rental Miami ! Exotic Car Rentals Miami was born from a vision to create the perfect exotic car rental experience. From this we created a company that prides itself on making your rental a dream come true. That is why we believe in providing only the finest vehicles in the world and nothing less than first class customer service when you rent from us. 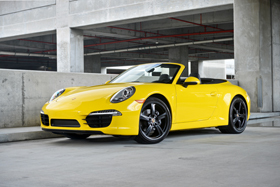 Exotic Car Rental Miami offers Luxury and Exotic Cars of the latest fashion. Our entire fleet is new and fresh. Rent our Lamborghini Gallardo or Mercedes SLS and show off your luxury car rental in Miami. We also offer delivery and pick up services. We can drop off your luxury or exotic car rental at any Miami Airport and pick it up there when you get back. Our main office ” Exotic Car Rental Miami ” is located next to the Miami International Airport. Miami is a vacation destination for mostly everyone. Wouldn’t you want to spend your Miami Vacation on a Lamborghini or maybe even a Ferrari. Drive around ocean drive in an exotic or luxury car rental and you’ll feel like a celebrity. If you’re traveling with a big family, Rent our Cadillac Escalade ESV or Range Rover HSE for more space and comfort. 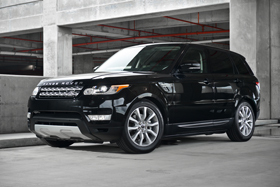 Along with our exotic and luxury vehicles, our suv’s are new and luxurious. If you’re looking for a not so flashy cars at Exotic Car Rental Miami, we offer BMW’s like BMW M6 Convertible, BMW M4 Convertible and BMW i8 (Electric Future Car). Miami Beach is the World’s most famous beach. Why not arrive to the beach in your Ferrari italia Spider Rental and have all eyes on you. Call us or reserve your Car by clicking ” Get Quote “. Our booking process is fast and easy. If you’re having any issues call us for assistance. What are you’re waiting for! Rent your Exotic or Luxury Car Rental in Miami today. Our stellar service has led us to serve some of the most renowned celebrities, musicians and political personnel in the world. But, we believe that all of our clients are special and that’s why we provide the same red carpet treatment to all of them. Call us today at (305) 712-7263 and let Exotic Car Rentals Miami spoil you.